Why Do Practitioners Often Miss The Candida Diagnosis? 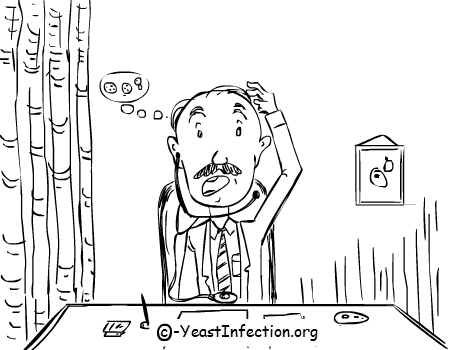 - YeastInfection.Org by Eric Bakker N.D.
You are here: Home / Yeast Infection Diagnosis / Why Do Practitioners Often Miss The Candida Diagnosis? The Common Misdiagnosis of Yeast Infections – But Why? This is really quite simple to answer, since the effective treatment of candida requires a strong element of dietary intervention and immune system buildup, prestigious mainstream medical journals such as the New England Journal of Medicine and the Lancet have not much interest in this condition as a disease entity. What is happening in New Zealand, Australia and much of the Western developed world such as America is that the pharmaceutical drug industry is pretty much setting the standard of medical practice. The pharmaceutical drug companies have invaded the academic institutions, you aren’t really likely to see articles published in medical journals on candida yeast infections, and the medical practitioner who relies on medical journals therefore will most likely miss the candida connection with patients. If you find this hard to believe, just read the mainstream medical journals yourself, and you will soon realize that they are dominated by pharmaceutical drug interests. The conventional medical journals have helped to create and sustain over the years a scientific environment which is dictated very much by the profit-filled interests of the drug industry, busy promoting its own financial welfare. It is important to remember that the sales of drugs have become more profitable than any other industrial product globally. And I have always believed that when huge sums of money are involved, then common sense goes out the window. I have been involved in natural medicine for over half my life and worked with countless practitioners of both natural and Western conventional medicine disciplines and know this to be a fact. I have worked out that you need to have your own interests at heart when it comes to your own health and have a good degree of common sense as well. 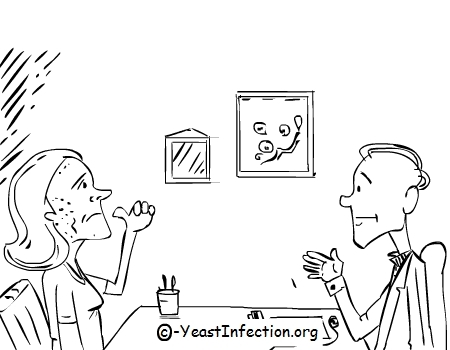 One reason I feel so many medical practitioners virtually ignore yeast infections in their patients is that they themselves prescribe antibiotics, the very drugs which are often implicated in the causation of candida in the first place. How could you then recognize and treat a condition which you yourself could have helped to initiate in your patient? This seems a bit to me like the person who sells alcohol and then turns a blind eye to the violence and other social problems which develop as a consequence to alcohol. The profits are certainly there, but the responsibility isn’t. It may seem a cynical statement at first, but antibiotics are the cause of many health problems globally, especially yeast infections and antibiotic resistant bacterial infections. My recommendations are for you to think carefully before you take an antibiotic, especially if you already have a candida yeast infection. The same goes with the Pill, which is also implicated. 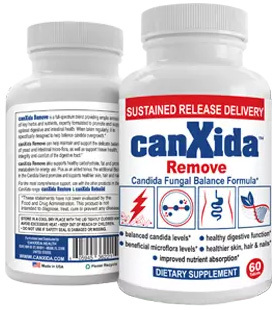 Another reason why candida is overlooked is that patients need to be diagnosed by the doctor before treatment can be started – and if you can’t accurately diagnose the disease, then you can’t treat it according to the evidence based (medical) practitioner. Many candida patients we see as natural health care professionals have been seen by their doctor, who has dismissed the patient’s concerns because “no clear cause” can be found. This is not the fault of your doctor by any means, conventional medical practitioners focus on treating the symptoms and the disease and not on health and wellness, so you may not get much joy here complaining of burping, bloating, food allergies and a whole host of other signs and symptoms associated with poor digestion, so common in candida. You will either end up with a prescription for a pharmaceutical drug (like an antibiotic), further impeding digestion, or be referred to a gastroenterologist (digestive specialist) who will in turn poke you and prod you with the various tests on offer and once again conclude that “all is well” and send you back to your doctor. This is my experience regarding doctors with regard to many different digestive disorders that people complain of; patients are often diagnosed as “NAD” (No Abnormal Diagnosis). This is the area where a naturopath will make his or her bread and butter, we don’t necessarily have to diagnose, we just treat. Bear in mind that conventional medical doctors fail to cure any disease, except to provide symptomatic relief for the patient. And naturally, an experienced naturopath will request an advanced stool test and/or refer to a gastroenterologist when treatment is unsuccessful or the patient is not responding to natural treatment methods. I talk about functional medicine testing (Comprehensive Digestive Stool Analysis) in Chapter 3, and if you have skipped this chapter then I’d suggest that you read it now after you bookmark this page. Personally, I tend to skip and skim through medical books myself, picking out what I need and when I need it and eventually end up reading the book about three times after a year or so. Oh, and don’t be afraid to underline something important in this book because if it is important enough for you then do highlight it. I always find that the major foundation for actually determining the presence and for monitoring the actual treatment of a candida yeast infection is the patient’s subjective feedback. Most busy doctors tend to have rather quick (5 – 10 minute) consultations which don’t really allow the patient to elaborate on their problems, and in some sense this patient has almost become almost a by-stander in the process. Amazing, the side-effects from pharmaceutical drugs can actually viewed as collateral damage when it comes to the treatment. Naturopathic doctors like me take their time, and spend a full hour and sometimes even an hour and a half with their new patient. This is how much time you need to allow the patient to fully express how they feel. Did I mention the medical clinic I saw in Sydney, Australia where I saw a sign hanging up saying: “Please present with only one symptom today”. One conventional doctor I know said that he has become tired of practicing with one hand on the door knob of his room, and one eye on his computer screen watching to see who is in the waiting room – all while a patient is sitting in front of him, which make me realize in an instant why I had my doubts about becoming a “real” doctor many years ago. Could I have helped patients more or achieved better clinical outcomes by having been conventionally trained? I doubt it, maybe in the sense of acute crisis medicine for sure. But certainly not with regards to cases like chronic yeast infections. in some sense it probably would have made me more blinkered and more disease focused rather than patient focused, and that would have been a tragedy in terms of the patient outcomes I now achieve. A naturopath recently mentioned to me once that he employed a new receptionist in his clinic some years ago. She said how much she enjoyed working in her new job as receptionist because, unlike the medical clinics she has worked in previously, the patients in the new clinic were actually … getting better. It is incredible how many times I have seen a patient who told his or her doctor that “something is not right” in terms of their health, yet the test results all came back OK. What is the doctor to do in these instances? In most cases, the patient is told that nothing is wrong, and that it may be a case of depression and an antidepressant is prescribed. Some doctors feel obliged to prescribe a drug, others don’t. It all depends on the training of the doctor and their philosophy I guess, but I could not imagine seeing a patient routinely, and after several follow-up visits and not getting a satisfactory result. I have found that a “normal” range in terms of blood and stool and other tests can vary considerably from patient to patient. Physicians practicing orthodox medicine always concentrate on the test results, in the belief that by pushing the results back to normal they will resolve the signs and symptoms of the illness, all while the difficulties continue to arise from the root cause – which is rarely if ever fully addressed. It is more likely that they cover up the real problem, and often jump from one symptom to another, depending on the severity of the complaint at the time. For example, a doctor may treat a patient’s vaginal discharge with local treatment, ignoring the totality of the signs and symptoms the patient presents with all in the belief that these are all separate conditions and not inter-connected. Whilst it is correct that the discharge certainly requires local treatment, it should always be treated as part of a holistic approach to get the true results the patient is longing for – a complete cure of all signs and symptoms of a candida yeast infection. Please someone help. My die off symptoms felt like I was dieing. I collapsed my hands trembling so bad I couldent even consider getting up. It took 3 months to regain some semblance of health I was 20 pounds lighter and suffering from celiac disease. (gluten shares some protien sequences with candida) the I haven’t consumed a grain of sugar since but still suffer skin breakouts and build up then die off of candida. If I try to fast I get nauseous , confused, irritable I have many large white particles when I have a BM and even lots of white floaties after I pee. I have all the candida symptoms and several autoimmune disease symptoms. One year ago I would have described myself as the happy stable healthy. Now I would say the opposite its like I am a completely different person. Crusher” on website, yeastinfection.org? I can’t find it! (2) When I went to the above website, I couldn’t get the pricing for ordering Canxida Remove, How is it possible to order it? You can buy the book on CandidaCrusher.com and the products on Canxida.com.